While most of our dry ice is sold for industrial and commercial uses, we also sell dry ice and related products direct to the public. Our retail sales counter is open for pickup from 8:00am to 4:00pm Monday – Friday. Our dry ice products are available direct to consumers as solid blocks, sliced, custom cut, or pelleted dry ice. Gehm & Sons supplies a complete selection of brewing products, taps, and kegerator conversion kits. 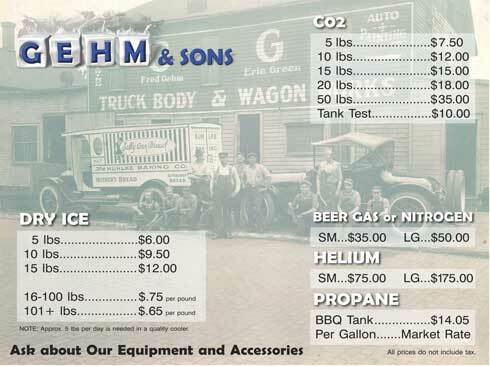 Gehm & Sons supplies gases such as CO2 used for floral preservation, Nitrogen for beer and paintball uses and helium for filling party balloons. Get ready for your next paintball outing or charge up your beer tap. Gehm and Sons offers Nitrogen gas in cylinders from 20 cubic feet up to 240 cubic foot tanks. Carbonate your beer, charge your tap system, or make fog for theater productions. Our CO2 gas is available in tanks ranging from 5 lbs to 50 lbs. Fill your party balloons with Helium from Gehm and Sons. Purchasing your helium in bulk is more less expensive than buying the little tanks available at party stores. 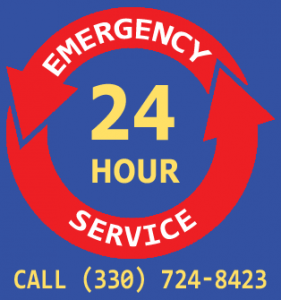 We offer Helium in tanks from 20 cubic feet to 240 cubic feet. Gehm and Sons provides propane tanks for food trucks, RVs, motorhomes, industrial, and residential uses. Propane is available for pickup only at our Akron location and is sold by the gallon. Bring your tank for filling. We welcome walk in customers and have the following published pricing for our dry ice and gas products. Dry ice sublimates (changes from a solid to a gas) at the rate of 10 pounds every 24 hours in a standard insulated container. Use the following tips to help make the most of your dry ice. Bring a Styrofoam insulated container when you pick up your Dry Ice. Fill the empty space in your cooler with crumpled newspaper. Filling in the “dead air space” around your Dry Ice will slow down sublimation. Avoid frequently opening and closing your insulated container. Do not store Dry Ice in air-tight containers. The pressure can cause the container to burst, causing personal harm and injury. Do not store Dry Ice in a refrigerator. The Dry Ice will turn off your refrigerator thermostat and freeze all of its contents. Warning: UN 1845 Extremely Cold (-109 degrees F).